The Sales Recap report is a valuable tool in evaluating the profit on a particular sale. The Sales Recap report can be found in a number of places within the software. The first spot is in the Sales>>4 Sales Recap drop-down. You can choose to view the recap for any completed sale. From this menu you may also filter sales by a specific salesperson. The second place where you can access the sale recap is in the “Sales Processing” window. 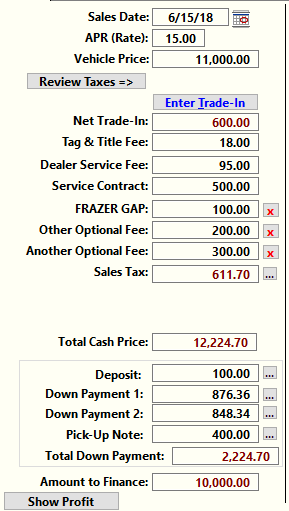 If you are working on a sale you can see a recap for the sale as it is currently entered in Frazer by going to the “Dealer Cost” tab of the sales processing screen and clicking on the “Sales Recap” button. 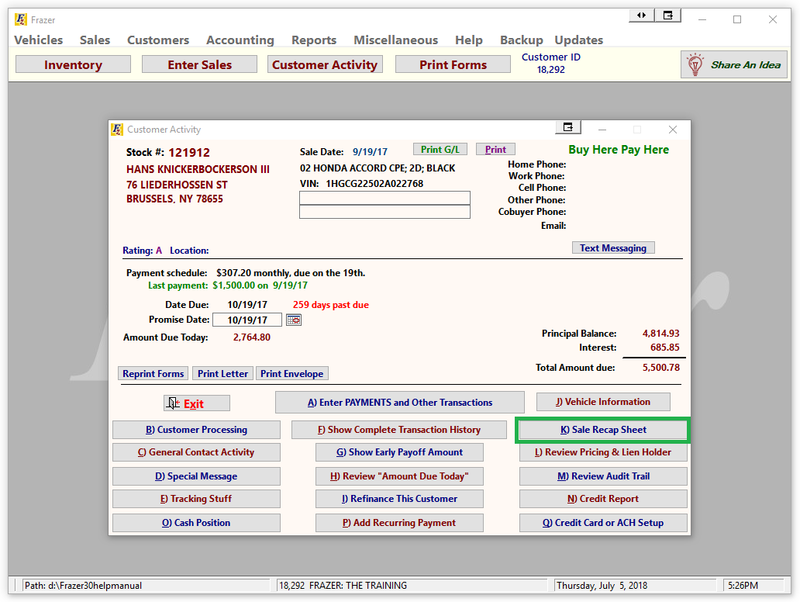 Finally, if you are accessing a customer’s account and are interested in what their recap looks like you can see it by clicking on the "Sales Recap" button from the main customer screen. 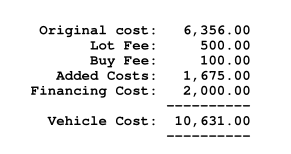 No matter where you select to print the report from, you will be prompted (if added costs exist on the sold vehicle) to include a separate listing for vehicle added costs. Checking the box will add an additional page to the report that will break down the costs added to the vehicle. The report itself contains several distinct sections providing a detailed overview of the sale. The top of the report contains customer and vehicle information. 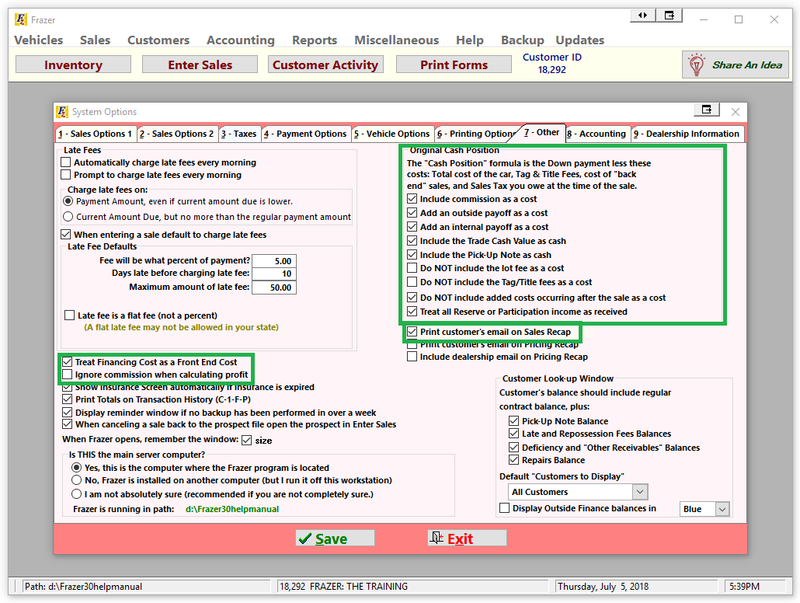 Options in Miscellaneous>>1 System Options>>7 Other allow you to include or exclude the customer’s email. For some Outside Finance deals you may notice that there is an additional cost included called Financing Cost (typically associate with sub-prime deals). 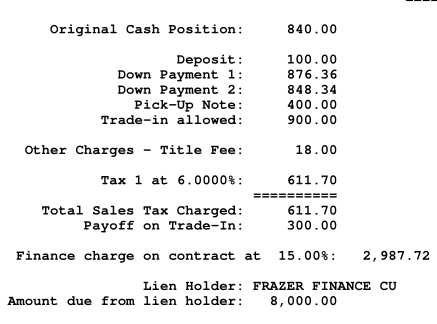 This represents the amount initially lost due to financing the sale with an outside lender and should represent the difference between the amount financed and the net check received from the lienholder. This costs appears as a front end cost in the example, however if desired this can be moved to a lower section to appear as a back end cost using the option in Miscellaneous>>1 System Options>>7 Other . Taking the difference between the price and costs will calculate as an initial profit. Beneath that section, any back end and optional products are listed with both price, cost, and profit. The back end profit, commission, and dealer service fee are then added to the initial profit to get a net profit on the sale. 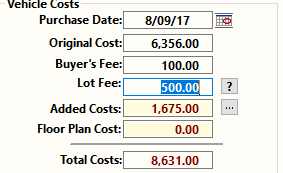 If you have chosen to include the finance cost as a back end cost it will be included here as well. It’s worth noting at this point the taxes and government fees were not included in the profit calculations. We consider these types of fees as “Money in, Money Out” as the dealer will collect the money only to then turn it over to the appropriate government agency. In these cases the dealer is acting as a collections agent and not making a profit on these amounts. These do however come into play in the next section where fees, monies collected, and initial cash position are represented. Using this report can give an accurate and detailed breakdown of how your dealership is performing profit-wise on any given deal. 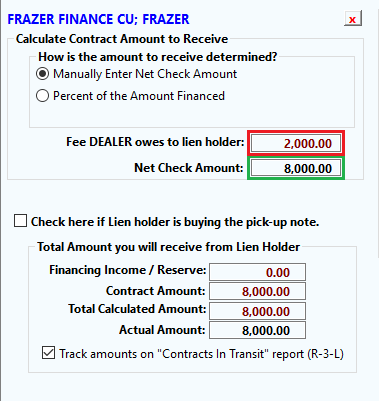 Treat Financing cost as a Front End Cost- Checking this box will treat the financing cost (the difference between the net check received by the dealer and the amount to finance) as an existing cost on the vehicle when determining the initial profit on the deal. Un-checking this will move it to a back end cost included with the profit on additional products. Ignore commission when calculating profit- Checking this box will not include salesmen commission when determining the profit on a sale. 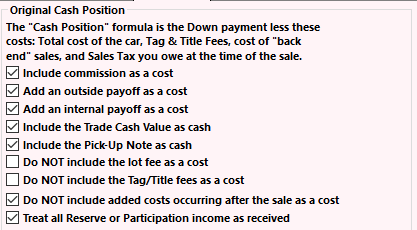 Original Cash Position- These boxes will affect the initial cash position calculated on the form. 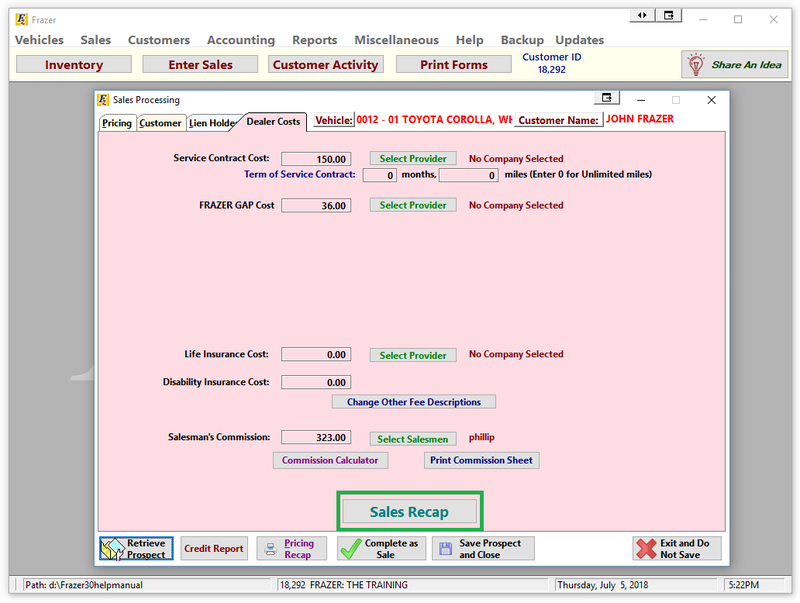 Print customer’s email on Sales Recap-Checking this will include the customer’s email in the customer information section at the top of the sales recap.